Today’s Favorite Pin Friday is for anyone like me trying to find ways to create an emotional attachment with boys. I must admit, I started a little behind and under-prepared, but it’s not as complicated as the drama I’ve found in an seventh grade girl’s locker room. 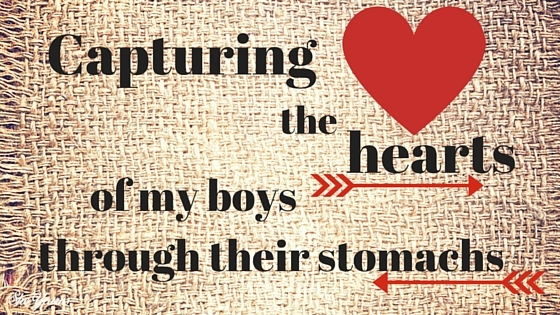 Capturing the hearts of my boys is not rocket science. They need to know I love them, that I enjoy them, and that I will get down on the floor and play with them. Every day we read together, I listen to their twin jabber-jabber, and try to laugh appropriately at the right moments of what is humorous in an eight year old’s world. To me, these are just natural intertwinings–the intricate fibers of secure and loving relationships. What has surprised me is the impact of food. Food made especially for them has reached beyond their physical need for nourishment. It has begun to meet an emotional need: love. Why I am surprised by this, I don’t know. Chad Strange is exactly the same way. I guess I have too much experience tainting my expectations with the dramatic episodes of the seventh grade locker room. Surely a stomach-to-heart connection is just way too easy. But it isn’t. Not to my boys. Maybe it’s not to yours, either. How can you and I capture the hearts of our boys? My boys are Ethiopian. Authentic Ethiopian style food is their favorite. It speaks comfort and home to them more than anything. However, it uses very different techniques and spices than foods I have cooked; and the closest Ethiopian restaurant is an hour from our home. We cannot get there very often and it’s pretty pricey. The last time we ventured to out it cost our family $150 and there were no doggy bags! After that experience I came home and created a Pinterest board of Ethiopian food, determined to learn a few recipes and techniques for myself. Your goal in this first stage is to identify what speaks comfort and home to the one with whom you want to build that connection. If it’s not fairly obvious, you can just ask them. I’m noticing, as a gender, they don’t hold their cards very close. My plan consisted of selecting recipes with ingredients readily available in my area. We ventured to an Indian grocer in our neighborhood and hit the jackpot. 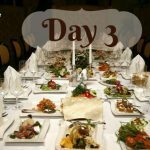 I also found awesome Pinterest Pinners who have spent the hours turning three-day recipes into something I can throw in the crock-pot! God bless the Pinterest Pinners! Your plan will also consist of developing some sort of plan to achieve your goal. Below are my first attempts at three recipes we experimented with New Years Eve. I apologize for not provided my own original pictures. I was not thinking about turning the moment into a post. However, our results were very close to these pictures pinned below (minus the vinegar/club soda volcanic mishap all over the floor and counter preparing the injera batter). This dish is basically a mixture of spices I purchased at an Indian store, chicken legs, onions, chili powder, boiled eggs, and a few other ingredients I had on hand. 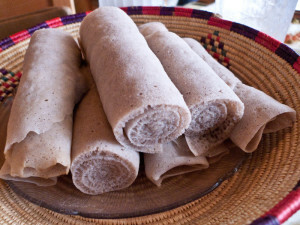 Injera is an Ethiopian staple used to scoop up the other food. We cooked the batter, rolled it and cut it into strips. Basically, it tastes like a sourdough pancake. All of us can eat it until we are stuffed. 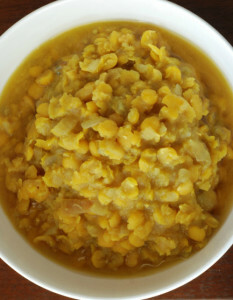 Just like the picture, this dish presents very much like creamed corn, with a different flavor. In fact, I was surprised to learn it was yellow split peas. These I found in the local Indian grocery store. The purple onions were very overpowering in the beginning, but as the mixture cooked, the flavors blended to take on the authentic taste with which we were familiar. 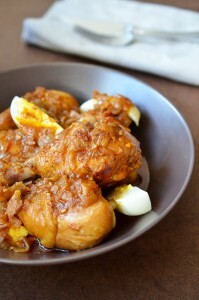 This is one of my favorite Ethiopian dishes! When asked, Tate and Zack said Mom did an awesome job on her first try. Just the way they talked about it conveyed something more than a good meal. Honestly, this first run wasn’t exceptional. I’ve had better successes. But not to them. My missteps with club soda, miscalculations of salt to water ratios, and lumpy injera simply communicated, “Mom loves me!” more than I knew. Somehow these efforts of mine to feed their appetites are actually feeding our relationship. As long as I see this kind of correlation, I’m going to keep working my plan to capture their hearts through their stomachs. You can find all of today’s Favorite Pin Friday pins on Pinterest at my Cheri Strange, She Yearns page. 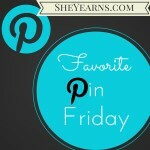 All of the past Favorite Pin Friday posts can be found on the board Favorite Pin Friday with all the links you will need. Do you have a Favorite Pin that goes with today’s topic you would like to leave below? Is there something that communicates love to the boys in your life? Post or comment below! Bisquick chicken and dumplings….they always order it from Cracker Barrel and each time say “yours is better Mom”. I think I’ll make them some. I think I would have said your cheese enchiladas! Or mac and cheese… But I guess what REALLY matters is what resonates with them. Chicken and dumplings it is!